NASA has just delivered the Orion spacecraft's heat shield to the Kennedy Space Center in Florida. 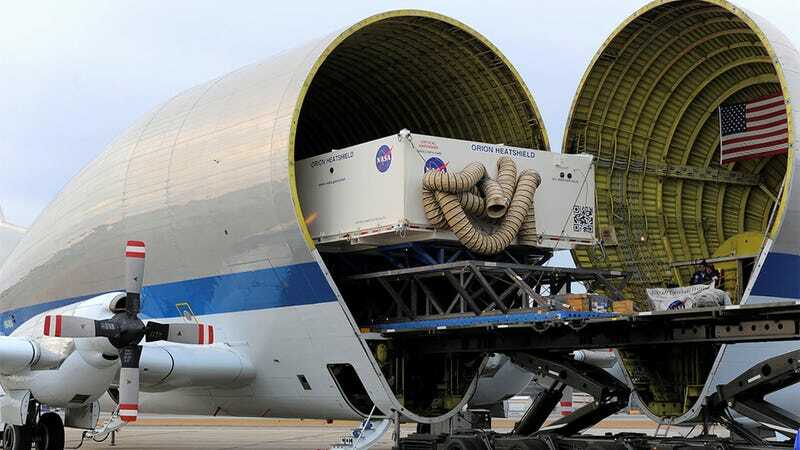 Look at it getting loaded into their Super Guppy, a special cargo plane used by the agency to carry oversized parts. It just looks like a giant FedEx package.